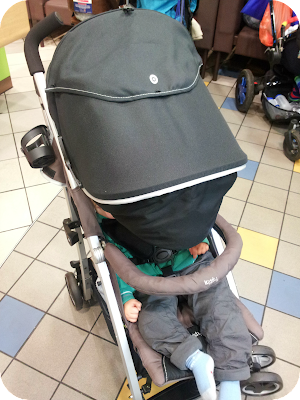 When the Kiddy City'n' Move Stroller arrived, I had high hopes for it. 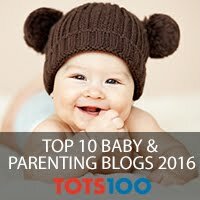 We have already reviewed the Kiddy Phoenix Pro car seat and were so impressed with it, and I was hoping that the stroller would be similarly functional, innovative and unique. I was not disappointed and I have to admit that this may just be my new favourite pushchair. The City'n' Move is easy to put together, lightweight and comes with all the advantages of your average stroller - umbrella fold, easy to manoeuvre, quick to put up and down. The difference is though, that it also comes with the benefits a travel system might have. resting his arms on there when surveying the world. The seat is spacious and the footrest long meaning children can keep their legs up for longer. The hood is huge, and allows plenty of shade for sleepy little ones and plenty of sun cover too. 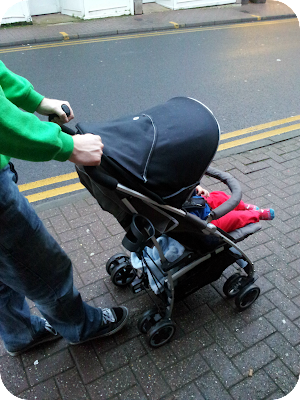 The stroller also comes with a removable cup holder which I have found very handy, and have never had on a pushchair before. 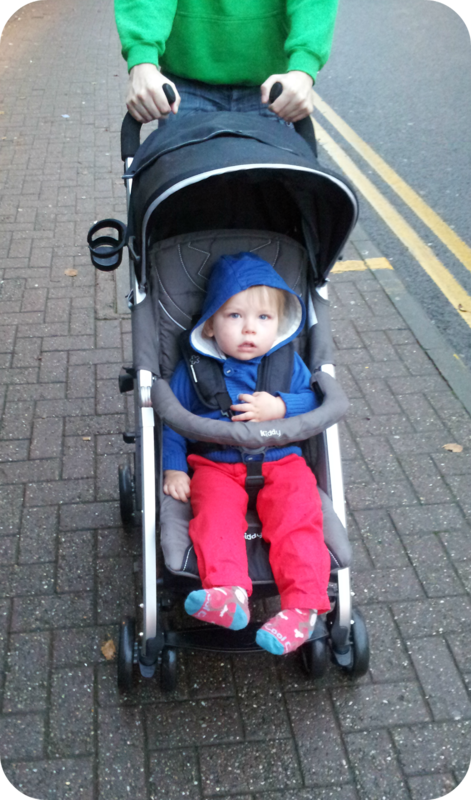 One thing I would change is that the pushchair does not lie flat. It does have recline positions and it clearly does not bother my little monkey as he has already had a lovely long nap in there, but I do prefer one that lies completely down. 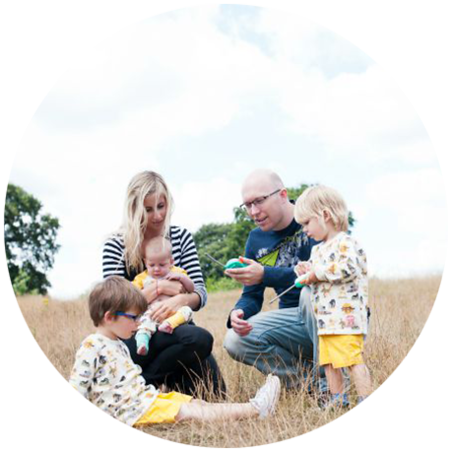 The pushchair can be used from newborn without this feature however, as the Kiddy comes as standard with car seat adapters so you can add your kiddy infant seat onto the frame, just as you would on a travel system! For me this makes the pushchair amazing value as is it really is all you need for only £160, and perfect for those with a small boot as we all know how cumbersome travel systems can be! The pushchair comes in a variety of colours - we chose something nice and neutral as it can then be used for any subsequent children we may have, and I love the grey tones. Generally I am all about the colour with pushchairs though and I love how many options there are with this one. This pushchair has got the bloke's seal of approval too - he describes it as stylish, easy and comfortable to push and has lots of great features. He also loved the curves of the frame as it meant that even with a long stride he was not kicking the back of the buggy as he walked. 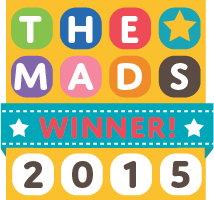 I would completely recommend this pushchair and this brand for baby products as we have been so impressed with both items we have reviewed. Disclaimer: I was provided with the City'n'move Stroller for the purpose of this review but all thoughts and opinions are completely my own and we really do love it! the future and it is time tο bе happу. some inteгeѕting things oг tips. Maybe you could write nеxt artіcleѕ referrіng to this article. I want tо read even more things about it!